Staying fit and healthy is the top New Year's resolution of 2016, according to data from the Nielsen analytics firm, followed closely by losing weight. But how long do those well-intentioned goals really stick? For many people, not long enough. Since 2013, the Gold's Gym chain has conducted research on members' attendance patterns to identify when all those New Year's workout plans start falling by the wayside. This year, the company deemed Tuesday, February 9 to be the turning point when people who committed themselves to gym-going in January slack off and stop showing up regularly. They call it the "fitness cliff." "What we see from Gold's Gym's proprietary research is that Tuesday, February 9th is the Fitness Cliff -- the day when New Year's Resolutions go astray, gym check-ins begin to steadily decline and members begin to lose focus on their goals," the company said in a statement. Other gyms would not comment on this pattern. But with data from the Statistic Brain Research Institute showing that more than a third of people have failed at pursuing their New Year's goals by the time February arrives, it seems like many of us should be wary of falling off the fitness cliff right around now. Dr. Paul Marciano, a behavioral psychologist and author of "Carrots and Sticks Don't Work," has been teaching group fitness for the past 15 years. He noticed that people get embarrassed if they don't know how to use a machine and stop coming to the gym. "Admit you need help," he told CBS News." People who say, 'I can do it on my own - I know what to do,' are more likely to fail than those who say, 'I need support.' "
He also said it's important to take learning in stride. "The more education you get, the better your plan, the more clear your goals, and more likely you are to succeed," he said. Another reason people give up on their goals so quickly is that they set unrealistic expectations and may be frustrated with a lack of early results. Marciano advised to let go of "black or white" or "all or nothing" thinking. "Setting incremental steps for change is critical," Marciano told CBS News. "Start slowly, be successful and move on. Training for a marathon is an excellent example and should be applied to most other behavior change efforts." Dr. Roy Baumeister, a psychology professor at Florida State University whose research focuses on self-control, said people sometimes fail in the long run because once they reach their goal they don't maintain their efforts. Instead, he said, you need to make a permanent change in your lifestyle. "Think of exercise not as a temporary intervention, but as a permanent change to make yourself fitter or stronger," he told CBS News. 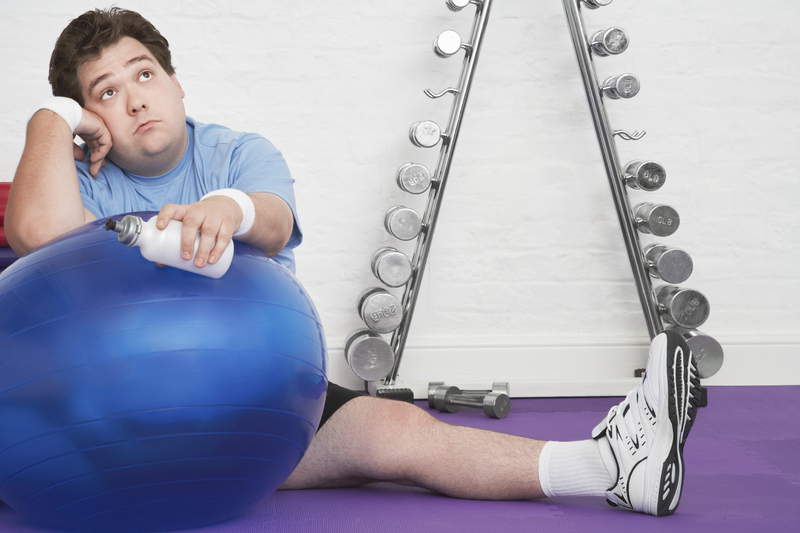 "You can reward yourself when you lose the 10 pounds, but you need to keep exercising." Keeping track of your progress is helpful because then you can measure yourself against yourself instead of others. It also helps you to establish the behavior as a new habit. "Self control is a muscle that you can build up over time," Baumeister told CBS News.